The generator is an electrolysis type, for the production of gas mixtures: hydrogen and oxygen, with a system of carbon enrichment. Scope: Welding, soldering, roasting, local high-temperature heating in jewelry and dental workshops, as well as for processing and melting glass and quartz, heat treatment of plastic, acrylic, other organic and synthetic polymers. Power supply: ~ 220V / 50-60 Hz. Gas production: 450 l / h.
Weight of the device: 23 kg. It is intended for welding, soldering of ferrous and non-ferrous metals, for heating, roasting or heat treatment of metals, plastics, wood, polymers, glass or quartz. Gas production: 650 l / h.
Weight of the device: 28 kg. Weight of the device: 30 kg. 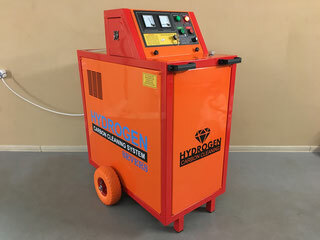 The generator to produce HHO gas electrolysis type Is used as a gas-welding equipment stationary bases. Perhaps the use of the gasifier as a source of fuel gas for waste management systems, but also as a source gas for domestic systems heating and water heating equipment. 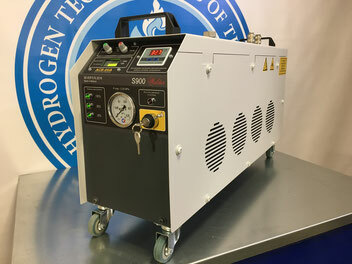 Hydrogen gas generator BlackWater-1, HHO-CC1200, S1000 (Aero), S1000 (Liquid) designed for cleaning from carbon waste, petrol and diesel engines. 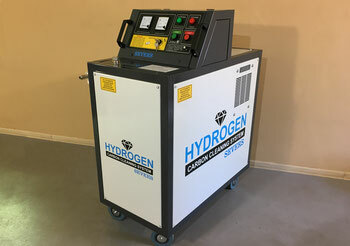 A hydrogen gas generator for engine cleaning is a ready-made business or a great addition to Your already existing car business. 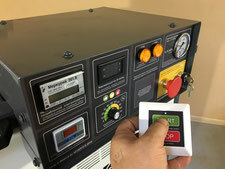 The gas generator is simple to operate, not requires maintenance. The only consumable for the operation of the device is normal tap water and electricity. The required supply voltage of 220V, 50 or 60 Hz. The gasifier can be equipped with integrated filtration system and water demineralization, as well as automatic addition of water. in the limitation or absence of gas flow. A gas generator with the air cooling system has a work time limit in non-stop mode. Periodic cooling stops are required. 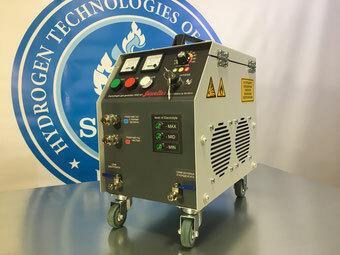 Gas generator with liquid cooling system has no restrictions when operating in non-stop mode. The multipurpose generators to produce HHO gas electrolysis type. Is used as a gas-welding equipment stationary bases. Perhaps the use of the gasifier as a source of fuel gas for waste management systems, but also as a source gas for domestic systems heating and water heating equipment.